Continue reading for 9 must-have tips. Your donation buttons should be bold and bright,standing out on your homepage and calling your potential donors to action. The classic donation button location is the upper right hand corner. We recommend placing one there as well as a second donation call to action with different phrasing in a unique position. Above is a snapshot from the Arc of Southern Maryland’s long form homepage! You can see that there is more than one donate button allowing site visitors more than one chance to give money. You want your potential donors to have a plethora of different donation options to choose from! From monthly donations to choosing specific projects to contribute to, there are many different ways to give your donors choices and allow them to feel more a part of the process. Sometimes we think through the entire design of our site only to forget about the donation form. The importance of a simple and easy to use donation form cannot be overstated. Elevation has a whole post dedicated to building the best donation form that you can check out here! Essentially, you want your form to be secure with those security seals in full view to make sure everyone knows it. Also, make sure there are additional opportunities for engagement and that you say thank you post donation. 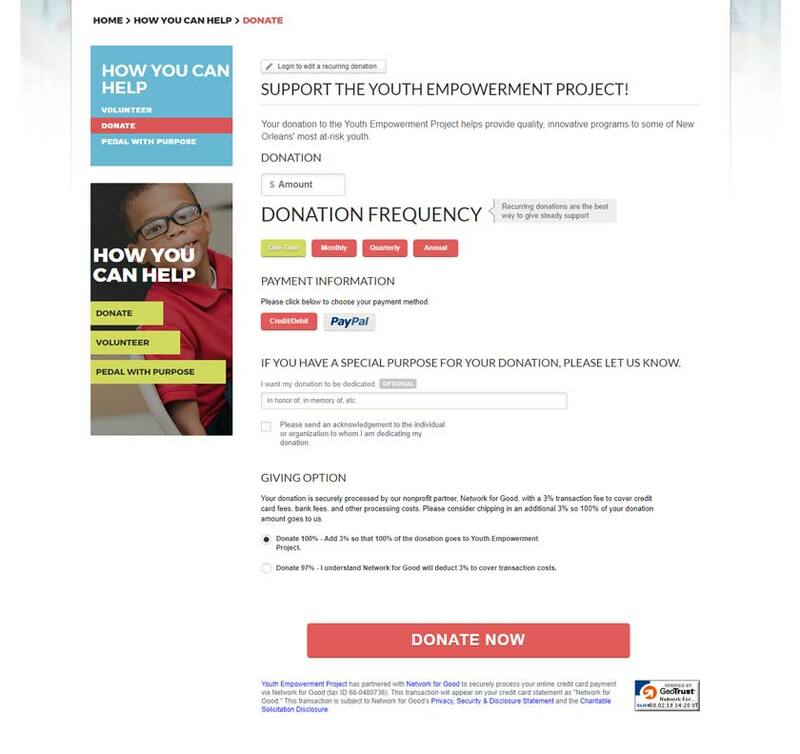 Check out the Youth Empowerment Project’s donation form. The security seals are visible, it’s easy to use and the organization offers multiple different donation options! A+! We are living in the age of the smartphone so you need to make sure that donating is doable via mobile devices for your website to fundraise for you. It should be just as easy to donate via smartphone as it is via desktop. Get all of your staff to check on their phones to get a view from multiple devices and if it’s broke, then go fix it! Your website should tell a story about your organization and drive people to action. Feelings move people to donate and they want to be a part of your nonprofit’s story. Make them a part of it by telling a compelling narrative on your site through both visual and textual content. Your site should show images of past events or projects you have worked on. Your potential donors want to know one, that you are real, and two, that the money you have been gifted has gone to use. Consider showing these images on your homepage or creating an image gallery for showcasing successful donor events. Another way to cover social proof is by including impact numbers on your homepage. Above on the Canandaiguan YMCA’s site you can see that community impact numbers are front and center! These numbers assure your potential donors of your organization’s importance and help persuade them to donate. Having examples of real-live donors on your site will make a huge impact on those in the consideration phase. Have them address: why they were motivated to become a donor, what other roles they play within the organization, why this organization is of value to them and, finally, why this organization adds value to the community or world at large. If your potential donor can connect their own experiences to those of others they will be more willing to contribute. If you didn’t share it on your social media profiles, did it even really happen? This logic is common for many nowadays and can work to your advantage as well. Make sure people have the option to share that they have donated to your nonprofit on all social media platforms. People love sharing all of the good that they do and you can make it easy for them! Your annual report should be easily accessible on your website. In the age of Google, people are used to having information at their fingertips. 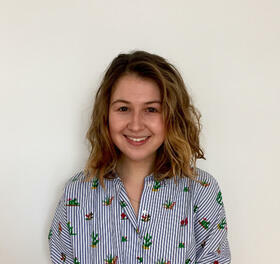 Transparency is essential to build trust and get people to donate! Your nonprofit’s website is worth the investment. If you approach it through a fundraising mindset you will be able to optimize the important qualities your site needs to help you raise money! If you have any questions about the web design process please reach out to us at Elevation! We are happy to answer any questions that you have!